LAS VEGAS, Nev. – This week’s most-added artist at country radio with “Every Little Honky Tonk Bar,” George Strait will play two additional shows at T-Mobile Arena in Las Vegas this year with special guest Ashley McBryde serving as direct support on Friday, December 6 and Saturday, December 7. Tickets go on sale a month from today on Friday, March 22 at 10 a.m. PT at www.StraitToVegas.com. 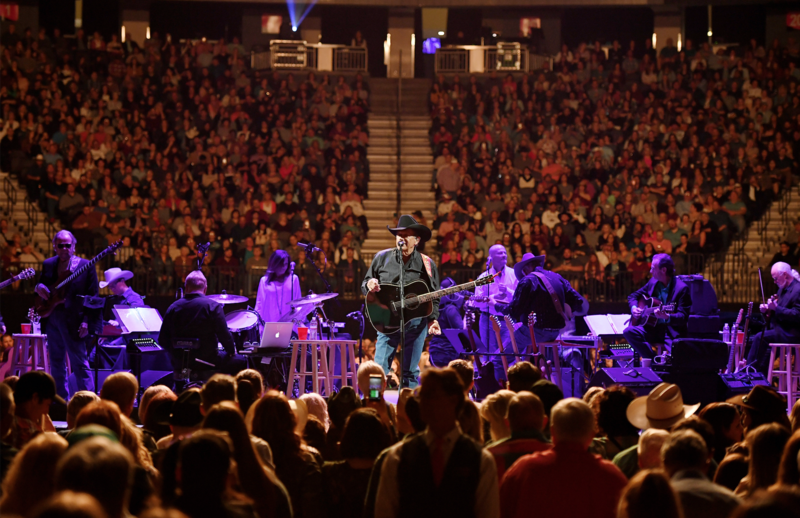 Since his record-breaking Cowboy Rides Away Tour in 2014, Strait has performed for limited engagements including 22 sold-out “Strait to Vegas” shows, most recently in February of this year. Remaining previously announced T-Mobile Arena shows for 2019 include Friday, August 23 and Saturday, August 24. “The King of Country Music,” who is set to release his 30th studio album Honky Tonk Time Machine on Friday, March 29, will also perform a one-night-only show at Atlanta’s Mercedes-Benz Stadium on Saturday, March 30 as well as shows in Columbus, Ohio on Saturday, June 8 and Fort Worth, Texas on Friday, November 22 and Saturday, November 23. Joining the Country Music Hall of Famer in December is “Girl Goin’ Nowhere” Ashley McBryde, who was nominated for Best Country Album at the recent GRAMMY Awards and was announced as both an ACM Female Artist of the Year and ACM New Female Artist of the Year nominee earlier this week.